Two (2) Hours - part of ENCORE Three State Tour. 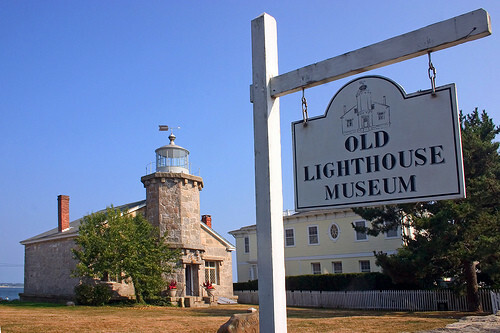 Experience Lighthouses in three (3) states. 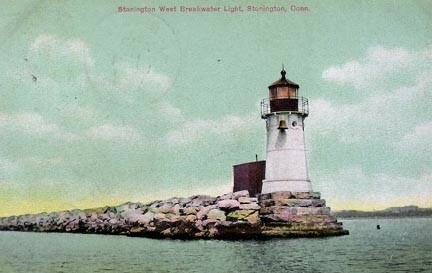 New York, Rhode Island and Connecticut feature some of the oldest and most numerous lighthouses and life saving stations in the country. 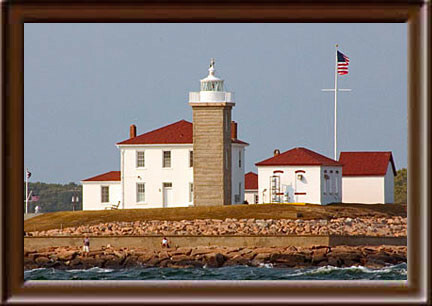 This tour includes the official Lighthouse Society Passport and stamps. 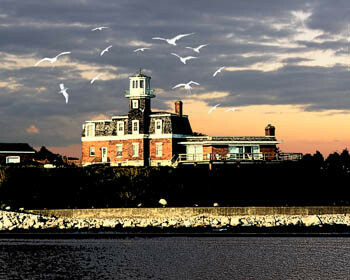 Watch Hill, Stonington, Latimer, North Dumpling, Race Rock, New London Ledge, New London Harbor, Avery Point, Morgan Point. Half Day. 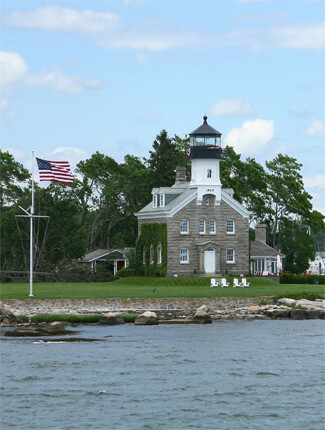 Ten Lighthouses tour aboard Motoryacht ENCORE: Watch Hill, Stonington, Latimer, North Dumpling, Morgan Point, Race Rock, Little Gull Island, Avery Point, New London Ledge, New Lodon Lighthouses, The Folly, Fishers Island Coast Guard and Life Saving Station. 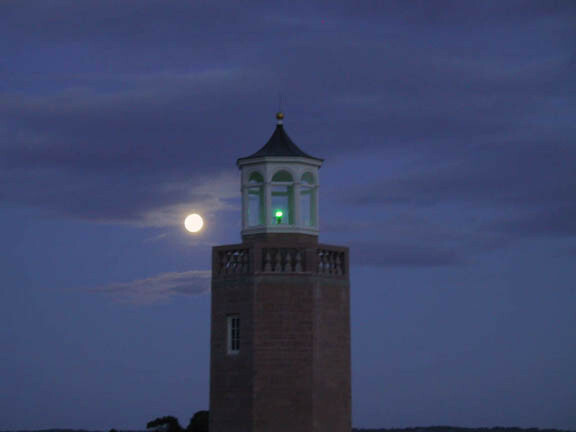 This tour includes Watch Hill, Stonington, Fishers Island, Noank and New London Harbors. Lunch at dockside in Noank optional (you are responsible for lunch). 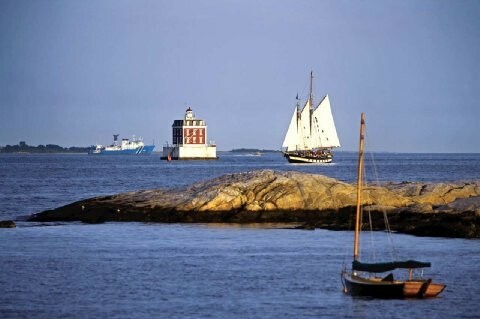 Fee: $1,000 Departs 10:00 a.m.
Lighthouses of; Stonington Harbor, Latimer Reef, North Dumpling, Watch Hill, Morgan Point, Race Rock, New London, New London Ledge, Avery Point. 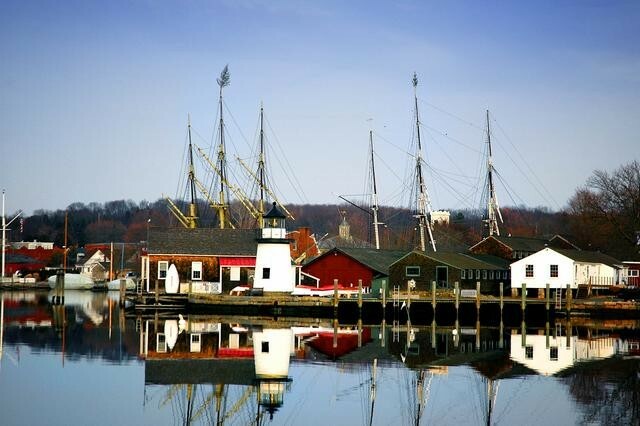 Stop over for lunch and private tour of Mystic Seaport Museum. Mystic Seaport Lighthouse Museum, Historic World War II Lighthouse Tender ship, GERDA III and the Block Island/ New Shoreham Life Saving Station built in 1874. Fee: $2,000 Departs 10:00 a.m.
Capt. Jack Spratt, utilizing his book research (Capt. Jack is the author of "From These Shores") and incorporating his collection of historic photographs and artifacts will provide an informative and lively maritime history of shipwrecks, hurricanes, hero's, villians, Revolutionary War, War of 1812 , whaling, sealing, slave & West Indies Trade, Rum Running, mining, farming, fishing, environmental awareness, the industrial revolution, aides to navagation and sea rescues throughout Eastern Long Island, Fishers Island and Block Island Sounds from the shores of New York, Connecticut and Rhode Island much of early American History can be viewed FROM THESE SHORES ! 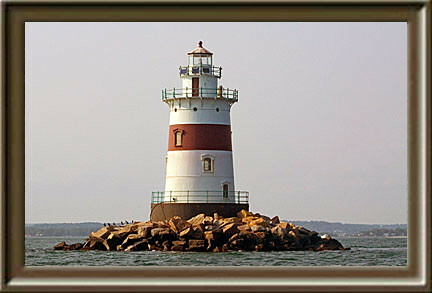 Viewing Race Rock, Little Gull Light is sea condition dependant and at the discretion of the Capt.